Ronnel is the former Program Officer for Anti-Incineration campaign and Medical Waste Campaigner at HCWH-Asia. His efforts promoted non-incineration alternatives to medical waste treatment and formed linkages with other environmental groups working on other waste and environmental issues. He studied politics at the University of the Philippines and was previously with the Burma Program of the Initiatives for International Dialogue. Ronnel served as the mayor of the municipality of Gubat, Sorsogon in the Philippines from 2010 to 2013. Dr. Michelle is a Doctor of Dental Medicine. She obtained her DDM and Masters Degree Masters Degree in Occupational Health from the University of the Philippines (UP) Manila. She is currently a Professor at the UP College of Dentistry and the President of the UP Dental Alumni Association. She has held many administrative positions at the College including Chaiman of Clinical Dentristry and Chairman of the Basic Dental Health Sciences. She is active in several international dental honor societies, such as the Academy of Dentistry Internation and the International College of Dentists. Michelle has written several local articles on proper dental waste management and mercury use in dentistry, which were published in the Journal of the Philippine Dental Association. She has also given lectures in Occupational Hazards in Dentistry, Dental Stress Management, Waste Disposal in the Dental Practices, and Green Dental Clinics to practicing dentists and dental students. At present, she is finishing her doctoral studies at the Tokyo Medical and Dental University. Atty. Armand is an attorney engaged in environmental law. For more than a decade, he has been the Legal Counsel for the Ecological Waste (EcoWaste) Coalition of the Philippines Inc., a Senior Partner at the Loveria Astive Mejia and Velasco Law Offices and Project Coordinator for Angat Watershed Conflict Mediation Project of the Mediators' Network for Sustainable Peace (MedNet). Dr. Gina is a nephrologist practicing at St. Frances Cabrini Medical Center and Renal Services Incorporated-Fresenius Medical Care Dialysis Center in Sto. Tomas, Batangas, and Daniel O. Mercado Medical Center in Tanauan City, Batangas. She is presently the national treasurer of the Philippine Society of Nephrology (PSN) and is the former president of the Philippine Society of Nephrology-Southern Tagalog chapter. She is also a board member of the Philippine College of Physicians (PCP). When the PCP Southern Luzon chapter hosted the 19th PCP midyear convention at Puerto Princesa, Palawan, Medical Ecology became the chapter's advocacy- and later, one of PCP's main advocacies. An article she wrote on ways to make the planet greener was published in her In My Green Mind column in the PCP-SL newsletter. She represented PCP in the anti-medical waste incineration campaign of HCWH-Asia. Dr. Cabral served as Secretary of the Department of Health in the Philippines. Before her appointment as Secretary of Health, she was previously the Secretary of the Department of Social Welfare and Development. Dr. Cabral, who is a cardiologist and clinical pharmacologist, graduated from medical school of the University of the Philippines. She extended her medical and pharmacological training at the U.P. Philippine General Hospital, Harvard Medical School, Massachusetts General Hospital, and the Joslin Clinic in Boston, Massachusetts. Dr. Cabral has long served as an educator and leader in Philippine medicine. At the University of the Philippines College of Medicine, she was a professor of medicine and pharmacology. She served both as Director of the Philippine Heart Center and Chief of Cardiology of Asian Hospital and Medical Center. She authored and co-authored more than 85 scientific papers on hypertension, cardiovascular pharmacology and clinical and preventive cardiology. She educated the public as a TV show host on "HeartWatch" on IBC Channel 13 and "InfoMedico" on NBN Channel. 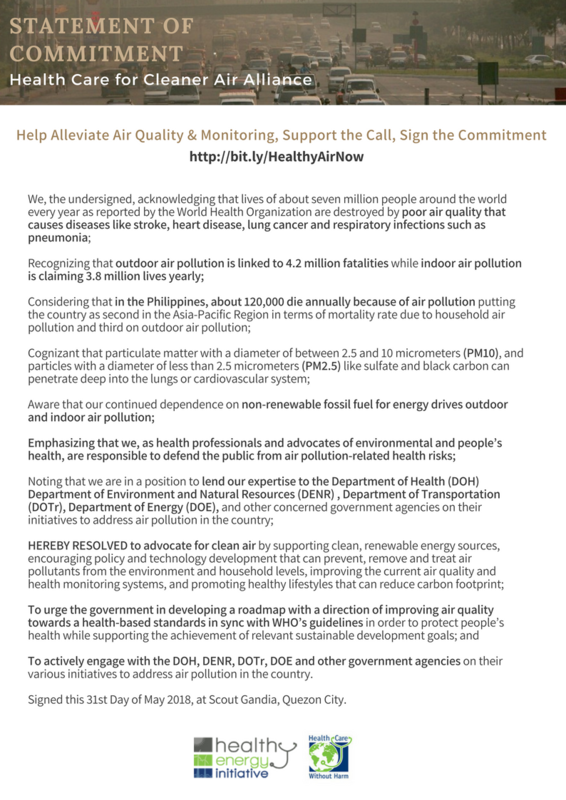 Von Hernandez is a leading and multi-awarded Filipino environmental activist, Von’s career in the environmental movement spans more than 20 years of campaign leadership, strategic planning and organizational development and management. He is currently the Global Coordinator of Break Free from Plastic (BFFP), a global movement envisioning a future free from plastic pollution. Before taking on this latest assignment, Von was Global Development Director of Greenpeace International where he oversaw the development and performance of the Greenpeace’s national and regional offices worldwide. Prior to this, he was the Executive Director of Greenpeace Southeast Asia (GPSEA), where he led programs and operations in Southeast Asia. Together with allies, he co-founded and spearheaded various environmental coalitions and partnerships at the national, regional, and global levels including the Ecowaste Coalition, Waste Not Asia, and the Global Alliance for Incinerator Alternatives (GAIA). In 2003, he was awarded the Goldman Environmental Prize for his work, which led to the first national ban on waste incineration. Von also gained recognition from Asia Inc. magazine as one of Asia’s Young Movers and Shakers in 2004, and from Time magazine as one of the Heroes for the Environment in 2007. He graduated from the University of the Philippines, with a Bachelor’s degree in English. He holds a Master degree in Public Management (MPM) at the Lee Kuan Yew School of Public Policy at the National University of Singapore (NUS). 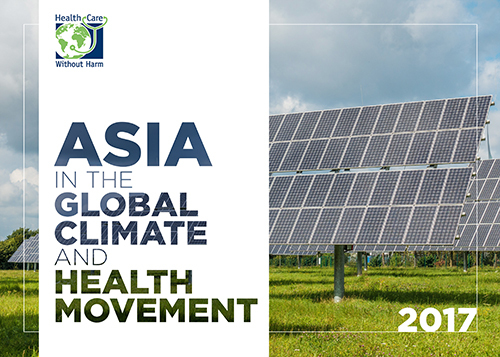 Dr. Shin is the President of the Korea Society for Green Hospitals and Director of the Department of Preventive Medicine/ Institute for Environmental Research of Yonsei University College of Medicine. As a leading advocate of environmental health in South Korea, he actively promotes sustainability in health care as a member of the Environmental Health Committee of the Ministry of Environment, the Korean Society of Environmental Health and Toxicology, the Korean Society for Indoor Environment, the Korean Society for Atmospheric Environment, and the International Society of Indoor Air Quality and Climate. He served as President of the Korean Society of Environmental Toxicology, Organizing Chair of the Joint Conference of ISEE-ISES (International Society for Environmental Epidemiology-International Society for Exposure Sciences), Vice-President of the Korean Society for Atmospheric Environment, member of the Central Advisory Committee of the Ministry of Environment. He was conferred Korea’s Presidential Citation for Environmental Achievement and the Order of National Service Merit. Dr. Shin’s research area of interest include health and environmental sustainability and risk assessment and management. As CEO of the Buddhist Tzu Chi Medical Foundation and the Tzu Chi International Medical Association (TIMA) and chair of Taiwan’s task force on Health Promoting Hospital and Environment, Dr. Chin-Lon Lin is dedicated in convening a broad coalition of local government, civil societies, hospital systems and medical professionals to transform from environmental hazard to environmental stewardship. Prior to joining Tzu Chi, he was the Chief of staff of Northridge Hospital Medical Centre in Los Angeles. Dr. Lin takes the role as principal investigator of the Tzu Chi Health Study showing the prevalence of serious illnesses like cancer, cardiovascular disease, diabetes and obesity can be considerably reduced by switching to a plant-based diet. Author of numerous scientific papers and four books, he has inspired many in the health sector as a driver of environmental responsibility. Mahesh is the co-founder and Director of Health Care Foundation Nepal (HECAF). A civil engineer by training, he has made a career of helping South Asian governments and international and Nepali institutions prepare and respond to natural disasters and other mass casualty events. He is also co-founder of the National Society for Earthquake Technology and HECAF’s National Kidney Center (NKC). 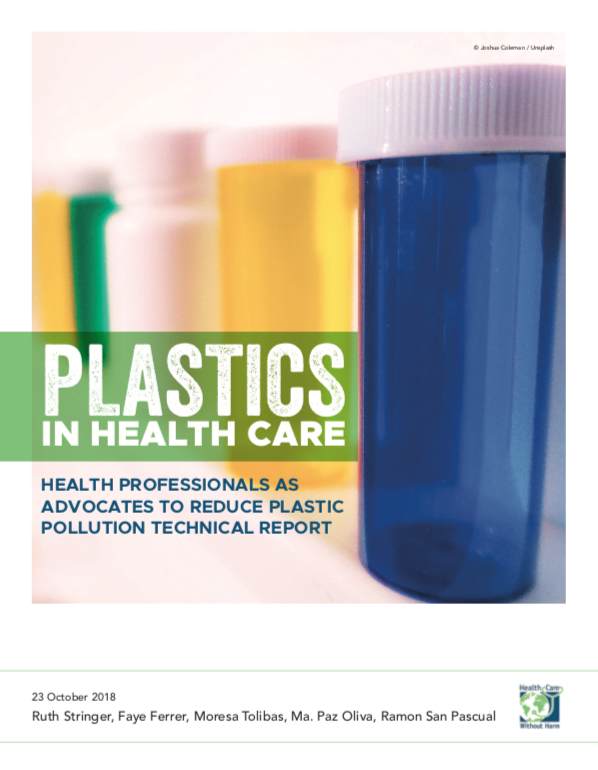 At NKC he pioneered a Healthcare Waste Management Program which has been singled out by the World Health Organization (WHO) as a model approach to the problems of medical waste in developing countries. He is also a WHO Certified Mass Casualty Management Instructor. Janet Robinson is a clinical, regulatory, laboratory, environmental and quality specialist with more than 30 years’ experience in medical laboratory diagnostics and clinical trials. She is currently serving in a dual role as FHI 360’s Director, Research, Asia Pacific Region and as FHI 360’s Global Director of Laboratory Sciences. For the past thirteen years, she has provided regulatory, clinical and laboratory leadership, implementation, technical assistance, capacity building and training to clinical research and program professionals and institutions in developing countries, particularly in west and sub-Saharan Africa and South East Asia. Her leadership of health systems strengthening and health and environment programs includes improving medical waste management systems and greening of the healthcare sector. 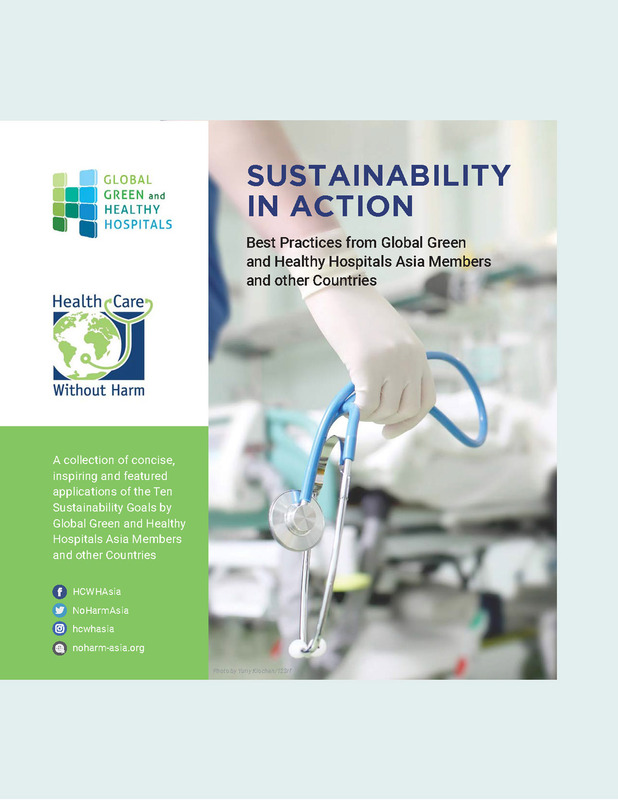 She is leading FHI 360’s work globally to green the healthcare sector. Before joining FHI, Ms. Robinson held several positions with Unipath Diagnostics Inc., including Director of Clinical and Medical Affairs. Ms. Robinson is a certified clinical pathologist (University of London, England), and is a Fellow of the Institute of Biomedical and Laboratory Sciences (UK). She is an invited member of several international laboratory working groups including that of the Clinton Foundation and WHO in S.E. Asia. She is also a member of the US FDA Advisory Committee for Clinical Chemistry. Sr. Arcelita is the administrator of the St. Paul Hospital, Cavite, one of the 13 member hospitals of the Sisters of St. Paul de Chartres Health Care Ministry in the Philippines. She started her ecological advocacy 14 years ago through solid health care waste management. This advocacy has expanded to holistic initiatives to care for Mother Earth, such as: rainwater harvesting, vermicomposting, recycling, chemicals replacement, etc. She strongly believes in Pope Francis’ statement, “Climate change is a social, human and ecological crisis.” Her undergraduate course was Nursing with graduate studies in Nursing and Hospital Administration. She is a member of the Board of Trustees of several SPC hospitals and is the Assistant Treasurer of the Private Hospitals Association of the Philippines. dr. Suherman is the National Coordinator of the Health Promoting Hospitals (HPH) Network of Indonesia. He obtained his Masters in Public Health from the Indonesia University. He served as Director of R. Syamsudin, S.H General Hospital in Sukabumi City and Head of the Indonesian Regional Hospital Association (ARSADA) of West Java Province. Ang Zhao is the Director of the Rock and Energy Environment Institute (REEI) and has worked in the environmental protection field for over 10 years in China. He focuses on climate change policy and renewable energy policy. Before co-founding REEI, he worked with Green Earth, Greenpeace and Windpower Intelligence on watershed conservation, coal power policy and wind power policy, respectively. Mr. Zhao holds an MSc. in Environmental Policy and Regulation from the London School of Economics and Political Science, UK. PHFI is a public-private initiative that emerged from multiple constituencies including Indian and international academia, state and central governments, multi and bilateral agencies and civil society groups. Before becoming the President of PHFI, Prof. Reddy headed the Department of Cardiology at the All India Institute of Medical Sciences. He was appointed as the First Bernard Lown Visiting Professor of Cardiovascular Health at the Harvard School of Public Health in 2009. He is also an Adjunct Professor AT the Rollins School of Public Health, Emory University and Honorary Professor of Medicine at the University of Sydney. PHFI is engaged in capacity building in Public Health in India through education, training, research, policy development, health communications and advocacy. Prof. Reddy has been involved in several major international and national research studies and is widely regarded as a leader of preventive cardiology. He edited the National Medical Journal of India for 10 years and is on the editorial board of several international and national journals. He has more than 400 scientific publications in international and Indian peer-reviewed journals. He has served on many WHO expert panels and has been the President of the World Heart Federation (2013-14). He chaired the Core Advisory Group on Health and Human Rights for the National Human Rights Commission of India for several years and was a member of the first National Science and Engineering Research Board of Government of India. He recently chaired the High-Level Expert Group on Universal Health Coverage, set up by the Planning Commission of India. He has also served as the President of the National Board of Examinations which deals with post-graduate medical education in India. Prof. Reddy is a member of the Leadership Council of the Sustainable Development Solutions Network (SDSN), established to assist the United Nations in developing the post-2015 goals for sustainable development. He chairs the Thematic Group on Health in the SDSN. Prof. Reddy is a high-level panel member on the Global Panel on Agriculture and Food Systems for Nutrition. Shweta Narayan is a researcher and an environmental justice activist. She coordinates the Community Environmental Monitoring (CEM) program for The Other Media and has been associated as a volunteer for the campaign for justice for the survivors of the Bhopal Gas Tragedy since 2002. As part of CEM she provides technical and legal advice to pollution impacted communities. As a Right to Information activist she has unearthed and used information regarding violations of industries in an effort to hold regulatory agencies and industries accountable, and to assist communities in their quest for their pollution-free environment. CEM's ambient air sampling exercise led the Supreme Court Monitoring Committee on Hazardous Wastes in India to direct the Central Pollution Control Board to evolve national standards for toxic volatile organic compounds in ambient air. Shweta has a Master's degree in in Social Work from Tata Institute of Social Sciences (TISS) with a specialization in Criminology and Correctional Administration. Ronnel is the former Program Officer for Anti-Incineration campaign and Medical Waste Campaigner at HCWH-Asia. His efforts promoted non-incineration alternatives to medical waste treatment and formed linkages with other environmental groups working on other waste and environmental issues. He studied politics at the University of the Philippines and was previously with the Burma Program of the Initiatives for International Dialogue. Ronnel served as the mayor of the municipality of Gubat, Sorsogon in the Philippines from 2010 to 2013. Josh is Director of Global Projects and International Team Coordinator for Health Care Without Harm. In this capacity, he works to support the development of HCWH’s work in Asia, Africa and Latin America, while also overseeing the organization’s global campaign on climate change, the development of the Global Green and Healthy Hospitals Network and HCWH’s collaboration with WHO to eliminate mercury in health care. He has over 25 years of experience working on international environmental and human rights issues. He is the author of two books and a wide variety of academic and popular publications on global environmental politics.